Separation Anxiety is alarmingly, a fairly common disease among our companion dogs. It is devastating and debilitating to the lives of these suffering animals and their human family members. Separation anxiety is also a huge contributing factor to the surrender and relinquishment of dogs in our society. Separation anxiety is more aptly termed “separation distress” or “separation panic”. WHAT IS SEPARATION ANXIETY EXACTLY? It is diagnosed when there are consistent signs of distress (physical, physiological, behavioural) exhibited by the animal in the absence of and/or lack of access to social company ie. either when they are alone or when they cannot get to their companion. Importantly, Separation Anxiety (SA) is not normal. It is a disease. It is normal for dogs to enjoy our company and social interaction, and to want to be with us but it is not normal for them to experience anxiety and panic when left alone.With this in mind however, I will qualify by saying that over the previous 15,000 years of co-evolution with, and domestication of dogs, we have selected for animals who are highly social and highly dependent on us. Dogs have undergone “neoteny” as we find puppy-like behaviours and appearances very likeable. We have thus both consciously and inadvertently selected for animals who show strong attachment to people. It has yet to be investigated and proven that selective breeding is a risk factor for separation anxiety and is my own speculation. 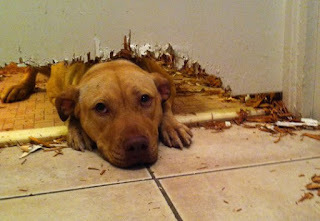 At this time however, I believe any discussion of separation anxiety in canines should be considered with this in mind. Anxiety, by definition is irrational and is the experience of fear and distress in the absence of any genuine threat to safety. Dogs with SA are not able to recognise they are safe, and they panic despite there being no genuine threat of harm to them in their environment. A behavioural disorder is diagnosed where behaviour is abnormal in context and/or excessive in frequency, intensity or duration. For example, it could be considered normal for a dog to panic when left alone if whenever it is left alone something awful happens (a neighbour sprays it with water or an electric shock collar is placed on it). This would constitute a rational fear. In contrast, for an animal to feel frightened, panicked and unsafe when left alone when there is in fact nothing to harm it, is irrational and conforms to the definition of an anxiety disorder. Anxiety disorders universally involve an abnormality or deficiency in information sensing and/or processing, and the subsequent emotional and behavioural response. WHAT ARE THE DIFFERENT TYPES OF SEPARATION ANXIETY? In reality there are actually two different types of separation anxiety, with diagnosed animals falling into one of two distinct categories. It is important to recognise which, as it influences our understanding of the dog’s problem and how we treat it. The animal has a problem founded in hyper-attachment: this can be a person or another animal. In this case the animal is reassured and calmed by the presence of this companion and does not feel safe when this attachment figure is not present or when access to this figure is denied. When left without this particular figure they feel fearful and begin to panic. a. These animals may have generalised anxiety and may be poorly adjusted socially. They need to get cues about what’s happening and what to do from the attachment figure in their environment. b. They may often exhibit excessively “clingy” behaviour. Animals suffering from this form of anxiety will usually follow their attachment figures everywhere and subsequently are rarely able to fully relax as they are hypervigilant and always monitoring for movement of their attachment figures. c. These animals need their one specific attachment figure in order to feel ok; they may panic if their person leaves even if there are other family members present – in these cases it will NOT help to have a pet sitter or another companion dog. The animal has a fear or phobia of being left alone in general. In these cases the problem is not rooted in underlying hyper-attachment but rather the animal has been conditioned to fear the context of being left alone specifically. This usually occurs secondary to a traumatic event experienced when they have been alone. The animal then develops a pathology akin to post-traumatic stress disorder where they generalise and associate the fear and panic experienced with being left alone. a. Events which may precipitate this type of separation distress are things such as home invasions, thunderstorms / fireworks / gun shots / cars backfiring (for animals with noise phobias) or any other random painful or distressing experiences such as seizures or acute injuries. b. These dogs may be otherwise socially well-adjusted and independent but their separation anxiety can destabilise them emotionally and neurochemically generating more generalised anxiety over time. c. These dogs may have an underlying noise sensitivity or noise phobia which led to their being so traumatised by a noisy event when alone. d. These animals are not attached to a certain person – they are just fearful of being left completely alone. In these cases it may help to have a pet sitter or companion dog. 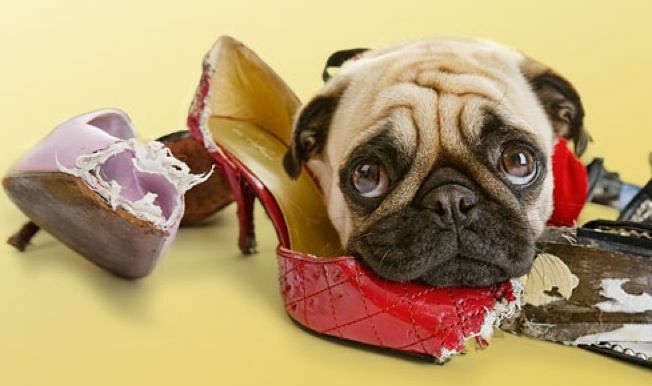 Dogs with this disorder are all individuals so may react differently: some may panic acutely as soon as their owners depart or even begin to panic at cues such as owners putting on work clothes or grabbing their car keys! Others panic after a certain amount of time has passed. Others could panic the entire time their owners are absent (hours or even days!). Some may panic initially but may be able to self-calm to some extent. 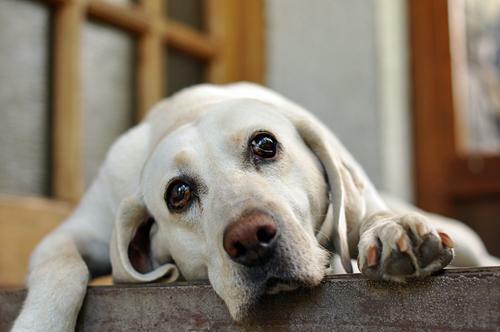 Withdrawal or freezing – some dogs with SA may simply stand and stare at the door out of which their owners left for many hours and are unable to even move. Vocalisation due to distress is different to barking at certain stimuli – it is characterised by repetitive atonal barking or long-distance calls such as howling interspersed with moments of stopping to listen for responses from, or the return of their companion. Destruction is often evident at windows or doors as the animal attempts to desperately get out in the throes of panic. It can also involve chewing on items, digging or any form of environmental manipulation that the dog deploys as an outlet for its internal state of distress. Some signs will be obvious and troublesome enough for owners or their neighbours that help is being sought (howling, destruction, defecation inside). However, some signs are subtle or not evident upon returning home (freezing, salivating, quiet vocalisation, fiddling, mild self-trauma). This means that separation anxiety is an underdiagnosed condition and many dogs never receive the help they need. To screen for and diagnose dogs with more passive signs, a video monitoring system should be set up to tape dogs during departures and when left alone. I recommend that this is done for all dogs at least a few times per year whether they are suspected of having SA or not. Some other conditions can generate some of the same signs as separation anxiety and may look similar, which is why all cases of suspected SA need to be investigated by a veterinarian so that unrelated and/or contributing issues can be diagnosed and treated. A dementia type disorder of geriatric dogs which can lead to loss of memory and sensory and cognitive disturbances which may manifest in generalised anxiety and/or distress when left alone, or loss of toilet training. 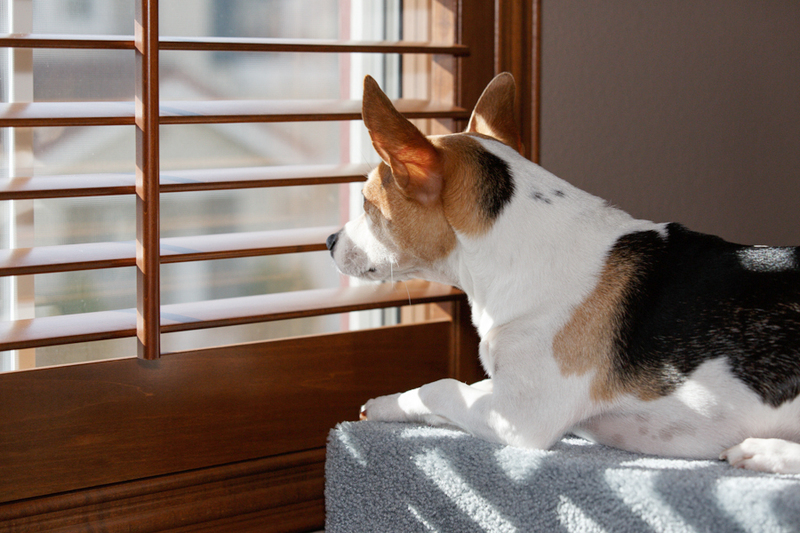 * It is normal for dogs to deploy alarm barking at certain stimuli such as people or dogs passing by the home. 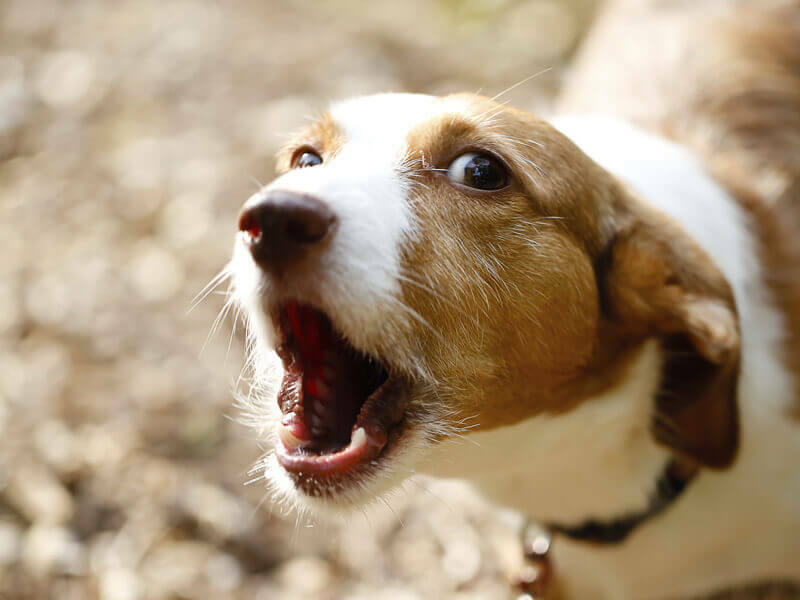 A noise or video recorder will be able to differentiate what type of barking is occurring and how frequently to establish if it is normal or related to distress. 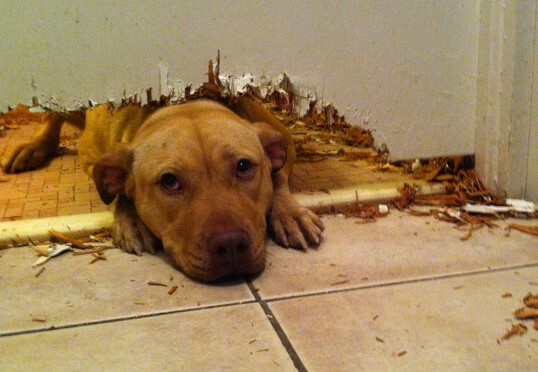 It is normal for many dogs to engage in self-stimulating exploratory behaviour such as chewing or digging. Video footage will reveal whether the dog is relaxed or distressed in order to differentiate and diagnose what is going on. * “Owner-absent behaviour” describes some behaviours which the dog does not do when the owner is present because of a history of punishment for them (eg chewing furniture or digging). In the absence of the owner and any associated punishment, the dog finds these activities very reinforcing and enjoyable and will engage in them. This may lead the owner to think it is separation related as the dog does not do these things in the owner’s presence due to fear of bad consequences happening. In this case the dog is normal and not suffering any emotional problems or distress (except those brought on by the punishment and conflict it has experienced). Thyroid disease can cause changes in neurochemistry and physiology that leads to emotional and behavioural changes. Has the dog ever been reliably and completely trained only to toilet outside? Was the dog trained using harsh, confronting, punishment-based methods? In this case the dog may learn not to toilet in front of the owner rather than where to toilet (i.e. the dog is scared of toileting when the owner is present due to fear of punishment so the dog toilets preferably when left alone). #7. 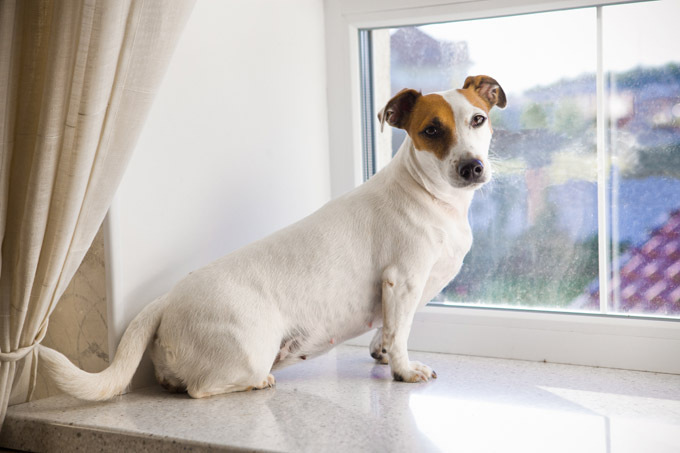 Arthritis or Joint Mobility issues which can prevent a dog from going outside to toilet. Generalised anxiety or hyper-arousal can cause many of the signs of SA but can be differentiated by being present at other times – not just when left alone. It is important to recognise that because of overlap in signs between separation anxiety (and anxiety in general) with other medical and physiological disturbances, the condition can often be misdiagnosed. For example many dogs who suffer with chronic gastro-intestinal, urinary tract or dermatological disturbances and have been investigated and treated as such, actually have anxiety as the underlying causal factor. Anxiety causes changes to the nervous system, immune system and hormone system of the body which can readily cause or worsen other disease states. In general veterinary practice I have seen many patients who suffer with chronic skin, bladder or bowel issues which is never well controlled until their anxiety disorders are diagnosed and treated. There is so much misinformation out there and this muddies the intellectual waters (see “Myth Busting” section below). As explained, there are two different kinds of separation anxiety with two different underlying pathologies present. One is caused by a hyper-attachment based disorder rendering the animal stressed when separated from a companion and one is caused by an acute trauma when left alone which then causes the animal to be fearful when left alone. As with any behavioural disorder the cause is a contribution from genetics, experience and environment. The argument over which is a more profound influence is a redundant one: all 3 factors contribute to the final outcome. SA can be considered a genetic disease which is subsequently contributed to by experience and environment. 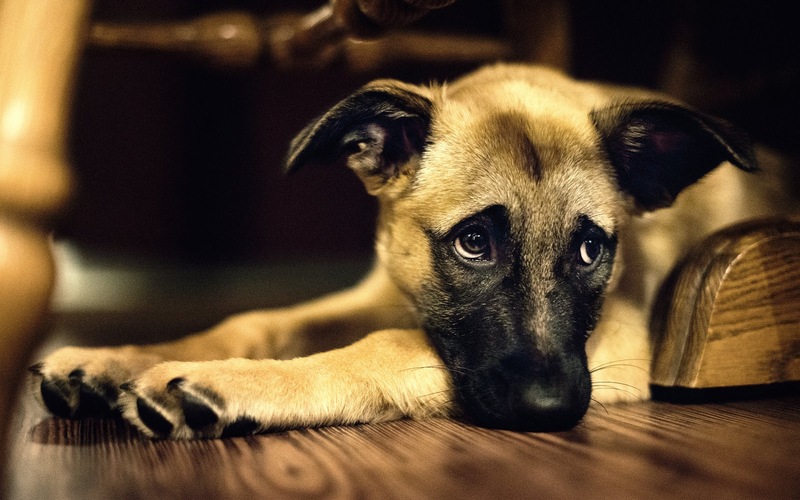 Dogs may be born along a spectrum of susceptibility to the development of separation anxiety. Their learning, experience and environmental context then subsequently shapes their neurological and behavioural development by making epigenetic changes – this influences whether the disease will manifest. For example, a dog may have a very strong genetic predisposition to developing SA and may do so even if its experience and environment are optimal for protection against the disease. Whereas in contrast, a dog may be genetically very resilient against developing SA but do so after a terribly traumatic life event which unbalances its neurochemistry and physiology. Such dogs do not have normal cognitive or emotional development, and lack behavioural flexibility to adapt to being alone. Entering social maturity. This is a general catalyst for developing mental health and psychological problems in already predisposed animals (similar to the teenage years in humans). Loss of a companion animal. The animal may have served as emotional support or may have provided information and cues about how to feel and behave in the past – the loss of this influence manifests separation distress. Loss of a human family member or other destabilising event in the family. Having a pessimistic cognitive bias in general ; yes, this has been proven to exist in dogs as well as people! Having a concurrent anxiety disorder. SA can exist in isolation but often co-exists with one or more other anxiety-based disorders. Many dogs also have a noise phobia. This could mean that many such dogs develop SA secondary to a fear-inducing noisy event when left alone, and/or that having a noise phobia predisposes them to developing SA on a neurochemical level. To quantify this relationship, studies have shown that when a dog has a noise phobia, there is an 88% probability it will also have SA – so they are highly correlated. This is why it is so important for dogs with behavioural disorders to be thoroughly examined and screened by a veterinary behaviourist to ensure all diagnoses are determined and all can be treated and managed concurrently for the best outcome. There are many myths, misconceptions and untruths in regards to separation anxiety that get in the way of appropriate understanding, diagnosis and treatment. The following are examples of things you will hear about dogs with separation anxiety which are entirely UNTRUE and INACCURATE. MYTH #1: “The dog is behaving like this when left alone out of anger and spite in an attempt to punish the client”. Dogs are not moral and are not capable of such vindictive behaviours. Separation anxiety is due to distress and nothing else! 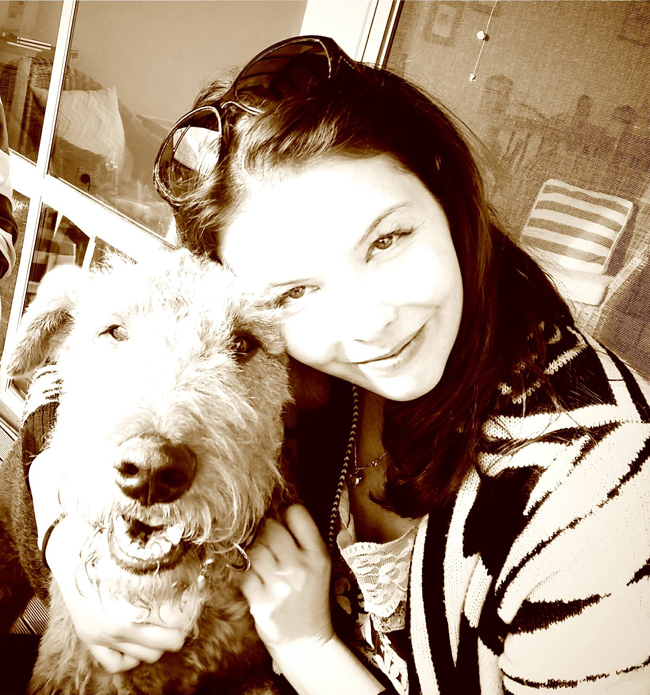 Your dog may love your company and be highly bonded to you but the behaviour is about distress – not love! No matter how much a dog loves you he/she should not panic when left alone if they have a normally functioning brain. For these, see the paragraph on what causes the disease. Dogs are not pack animals. They enjoy the social company of people but should not need it to stay sane. SA is caused by genetics and experience as well as environment, getting another dog will usually do nothing to address the neurochemical abnormalities present. Note: In some rare cases, affected dogs just need another living creature with them to feel safe, and having another dog present may miraculously help these cases. However, in most cases it will not help or may worsen the state of the first dog, and the second dog may even develop behavioural problems secondary to the abnormal behaviour of the first dog – then you have 2 problem dogs! SA is due to abnormal distress and panic when alone, not lack of stimulation. 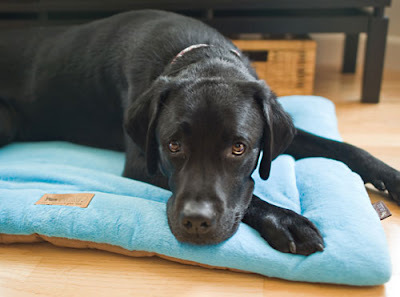 A normal dog when left alone with nothing to do will be bored and may sleep or make other attempts to self-stimulate but will remain calm – dogs who are acutely distressed are not even able to engage in enrichment due to their stress level. SA is nothing to do with limits, it is about distress – a dog who panics when left alone will also panic (if not more so) when left alone and confined to a cage or crate. SO WHAT CAN BE DONE ABOUT SEPARATION ANXIETY? Separation anxiety is a behavioural pathology, a medical mental health problem, a psychological disorder and an emotional disease state. By definition it must be addressed under the guidance of a medical professional. Treatment is the realm of a competent veterinarian with further interest and qualification in veterinary behavioural medicine. Firstly, separation anxiety cases (and those involving anxiety in dogs in general) should not just be referred to a dog trainer for help. These animals need medical intervention for their abnormal neurochemistry and resultant psychological, emotional and behavioural manifestations. Would you send your dog to a dog trainer to address its behaviour if it were stealing food and urinating inside due to diabetes? No – dogs should not be referred to trainers for behaviour that is secondary to a mental illness as it does not address the underlying cause. It also actually does further harm by delaying appropriate treatment. *** Training (or more aptly termed “behaviour modification” or “emotional modification” is needed in order to address aspects of the disease, and can be implemented by a competent, force-free and fear-friendly appropriately qualified dog trainer. However, this alone will not treat the disorder and will not be enough to help these animals. A three-pronged approach is needed to address all 3 contributing factors to the disease: ie. genetics and epi-genetics are altered with medicine, environment is addressed with management and experience and learning can be addressed with modification. Medication is only used to correct a disease state of irrational distress and panic by normalising aberrant functioning – it is NOT used to sedate animals! Medication may also include pheromone therapy with Adaptil. Medication may also include nutritional intervention with substances such as Tryptophan supplementation, Omega 3 fatty acids, Alpha Casozepine, which may help reduce anxiety in some cases. for animals to engage in modification they must be calm and rational enough to do so: they must not be in a state of stress or panic – otherwise, counter-productively, they are only accomplishing fear learning and will in fact become more sensitised to their triggers. This is why management and chemical intervention with medicine, nutrition or pheromones is first or at least concurrently required, to ensure the brain and body of the animal is amenable to modification. CAN SEPARATION ANXIETY BE CURED? No. Separation anxiety cannot be completely cured because we cannot eradicate or reverse the genetic component underpinning it, and this predisposition will always remain. However, we can often achieve great success in modifying it to the extent where it is well controlled, barely evident and no longer affects quality of life. SO WHAT DID WE LEARN ABOUT SEPARATION ANXIETY? 1. It severely affects the quality of life of dogs and their owners. 2. It contributes to animals being surrendered and euthanised and is thus a terminal disease. 3. It is a medical disorder and needs to be treated under the guidance of a qualified veterinarian. 4.There are 2 kinds of SA – one rooted in abnormal hyper-attachment and one rooted in trauma when alone. 5. It is caused by the interplay between genetics, experience / learning and environment. 6. There are many factors which contribute to the development of separation anxiety. 7. Separation distress is in part caused by genetics, and dogs with this problem should not be bred from or the problem will be perpetuated among our population of dogs. 8. Treatment involves a multi-angled approach of MEDICATION, MODIFICATION and MANAGEMENT. 9. There are many unhelpful myths surrounding the cause of and therefore the treatment of SA. 10. Unfortunately, SA cannot be truly cured but can be treated to the point of no longer being a problem. 11. More research is needed into the specific risk factors for and treatment of SA. For questions, clarifications, further information or if you know a dog with separation anxiety who needs help, please contact Dr Eleanor Parker of Pawly Understood.